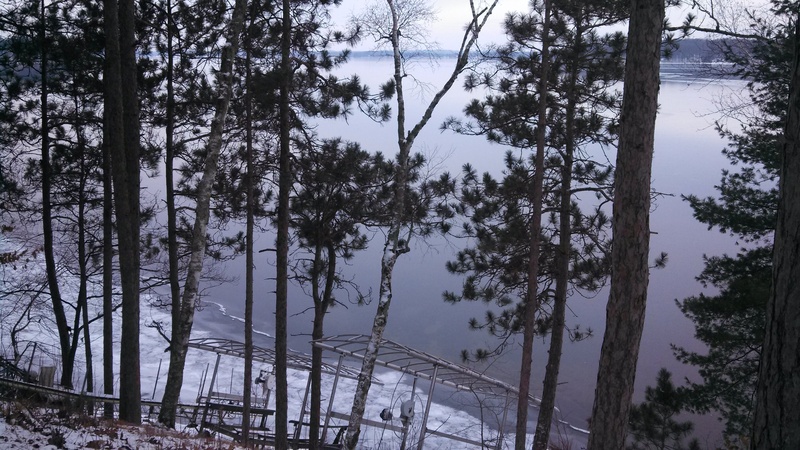 The Lac Courte Oreilles shoreline was a stark sight today; skeletal boat lifts hiding among the pines, pier sections haphazardly scattered about by procrastinators who foolishly thought they could sway Mother Nature into allowing just one more warm day, and the emergence of winter, evident by the fast-growing shards of shimmering white ice along the receded, rusty banks. I stood at the top of the hill and gazed out over this magnificent lake; the ice twisting, groaning, moving as its mass increased with each cold blast of northern air. Strange whirring and cracking noises filtered up through the pine trees as the ice blocks fought each other for territory, a solemn confirmation that summer is truly over. This is my favorite fishing lake ever. I learned how to fish here, right on this lake, taught to me by a man who has fished it for years, who has an instinct for finding fish like no other I’ve met before. I hope dearly that I’ll be fishing this lake until the day I leave this earth. drainage lake of over 5000 acres located just southwest of Hayward, known for its spectacular game fish. It is a challenging lake to fish; bait fish are abundant here, and oftentimes it takes a lot of thinking and patience to convince that walleye that your baited hook is much better than those ever-present schools of minnows he is surrounded by. The wait is always worth it; that ever so subtle tug on the line gets your pulse racing immediately, easy does it, you don’t want him to feel you…., a quick snap to set the hook, sweet! this one is on! The excitement grows when your fish stays down low, a heavy drag on the line, because this means it just might be a walleye. The urgent call for the net always comes as you reel in and suddenly catch a brief glance of that white-tipped tail, confirming a walleye. And then, finally, he is in your boat, beautiful dark shimmering color, those fascinating yellow eyes! We have our favorite spots on this lake, and they change with the seasons and weather patterns. Slowly I am getting the hang of how to predict where the fish with be with the given time of year and weather, but I still have a lot to learn, every day on this lake is a learning experience. LCO is such a huge lake! I don’t know how many miles it is from one end to the other, but I can say it is enormous – once, when fishing and our big motor quit running, we had to rely on our little 9-horse kicker to get us all the way back from the entrance of Muskie Bay to our cabin, which is near the bridge on Thoroughfare Rd. Of course it was raining and cold, and of course, I had to go to the bathroom, and of course it seemed to take forever and an hour to get back! When it decides to storm in the northwoods, it really storms. The open basin, especially, can be brutal to fish when the north winds decide to howl. Every icy blast seems to pick up more gusto as it whips over the lake – and when it pounds at you relentlessly, it can cut your fishing short for the day, no matter how tough you think you are. Some of the bays offer slight refuge from the elements, but more often than not, if you can stick out the nasty weather you are sure to land a huge one! LCO is known for trophy walleye, muskie and bass, and also has a nice black crappie and other panfish population. 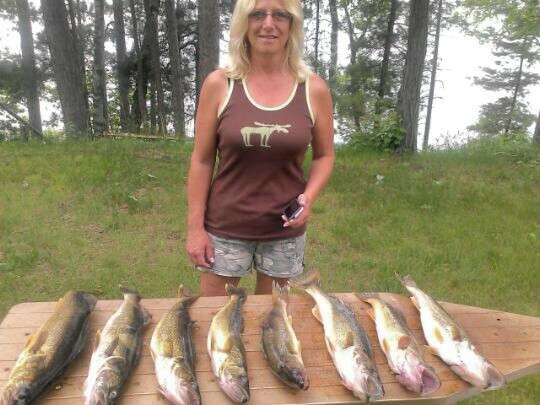 This year, we had a particularly good year fishing, especially early summer – wow, we caught some nice walleye, and it even picked up after we switched from our early spring bait of minnows to leaches. 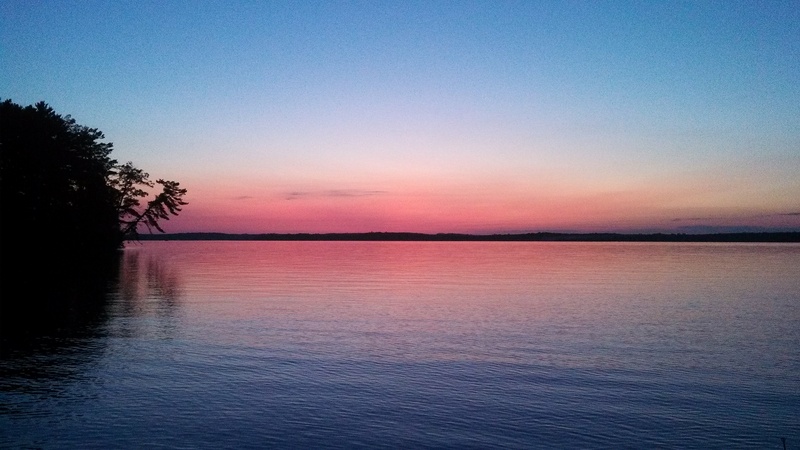 Some of my most treasured memories are of us fishing on this lake, especially later in the evening when everything becomes calm, just a slight ripple on the water’s surface, when the sun deepens in color, the vibrant oranges and reds spread across the skyline. All the recreational boaters are docked and the horizon is dotted with only a few quiet fishing boats now. The magnificent eagles soaring from pine tree to pine tree, swooping down along the shoreline, watching for their next meal. The eerie call of the loons echoing across the lake; their song has a sadness and longing to it that always sends a chill down my spine. A person can completely relax, let all the worries of the day wisp away in the gentle summer breeze. I am truly blessed to be out here. So come on winter, I am ready for you! Hurry up and get your job over with because there is some awesome fishing to be done in 2014! 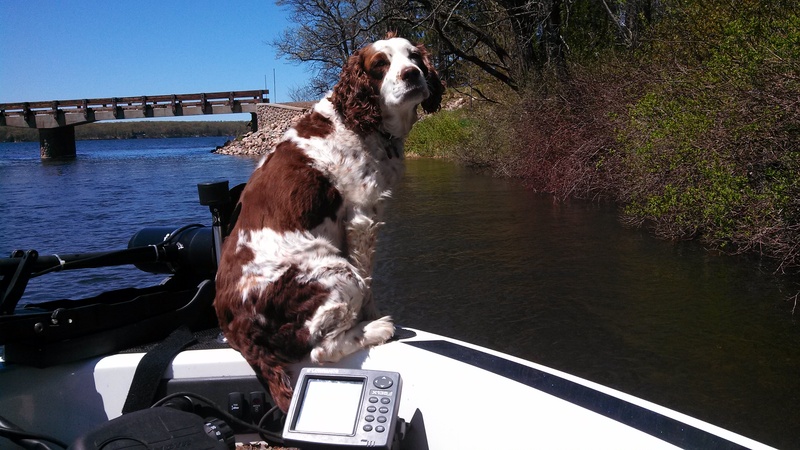 This entry was posted in Area Lakes, Fishing, NORTHWOODS LIFE and tagged best fishing lakes hayward, cathy lareau, fishing up north wi, ice on lco, Lac Courte Oreilles, lake homes for sale in Hayward, lake living hayward, LCO, Walleye, walleye fishing hayward. Bookmark the permalink.